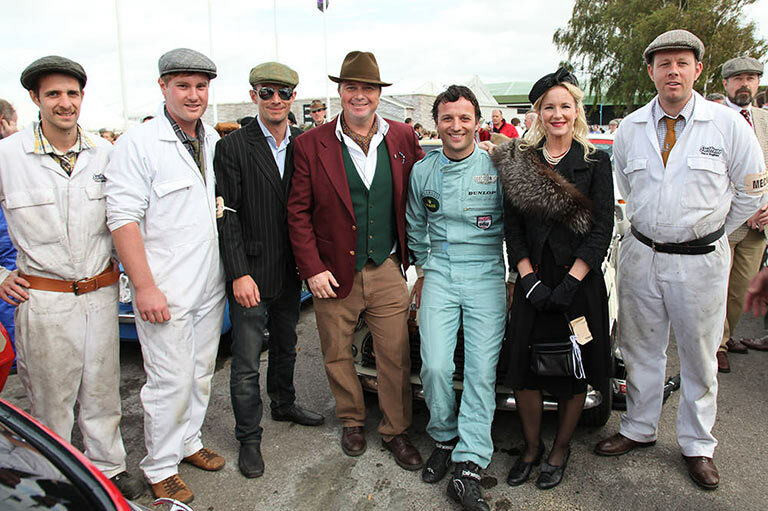 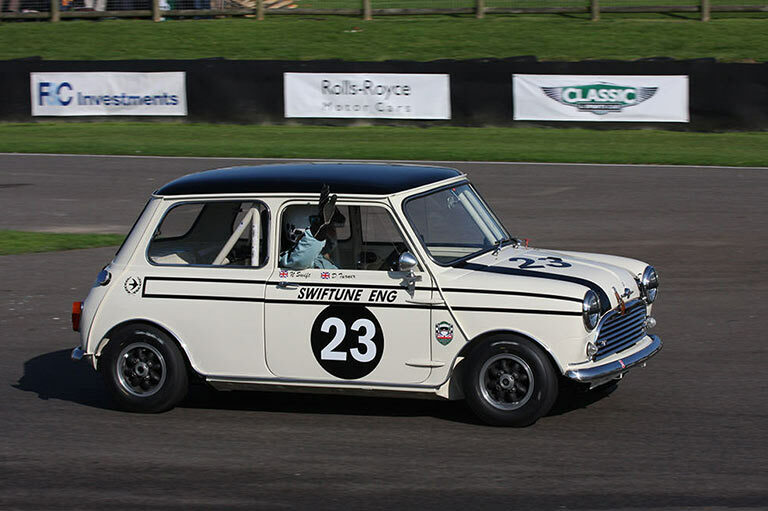 Third place overall in the St Mary’s Trophy race was a remarkable result for Swift and Aston Martin works driver Darren Turner who had a race-long dice with Anthony Reid’s Jaguar MkII and Le Mans-winning Tom Kristensen’s Lotus Cortina in race one on Saturday. 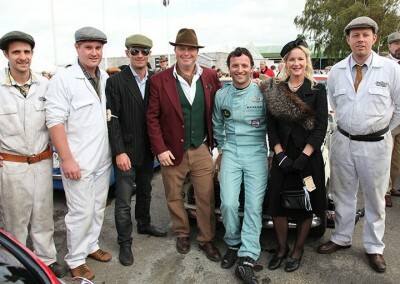 He was ahead of them both at one point and after some frantic place swapping went on to net fourth place. 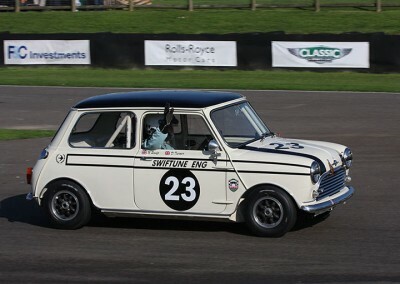 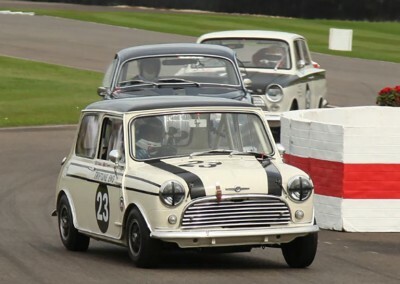 Starting from the front row in race two Swift led into the first corner before the power of Shaw’s BMW and a mighty Ford Galaxie told on the very fast Goodwood circuit. 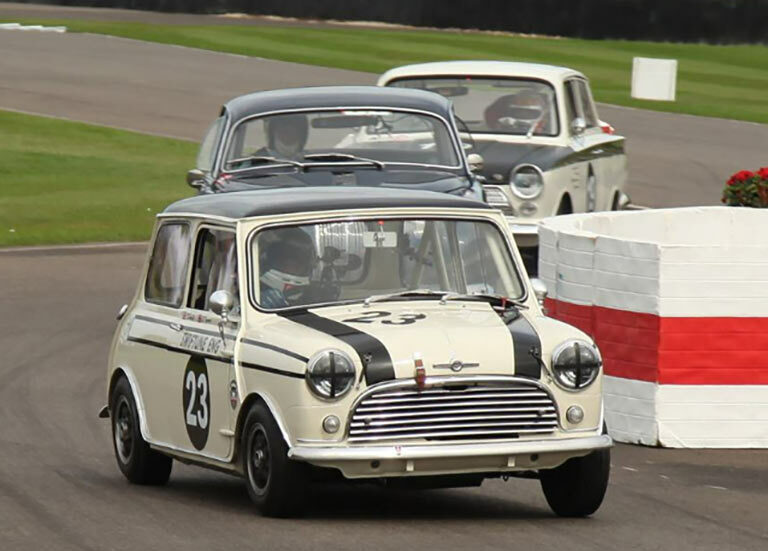 Keeping Lotus Cortinas, Alfas and Jaguars behind until the flag third place was a fine result for the Mini Cooper S. Darren Turner was delighted to swap his Aston Martin LMP1 for a Mini.